Ah making the most of the good weather ey? You have been very very busy already!!! Ooh I love your hedge tunnel! not sure everyone is being that helpful! 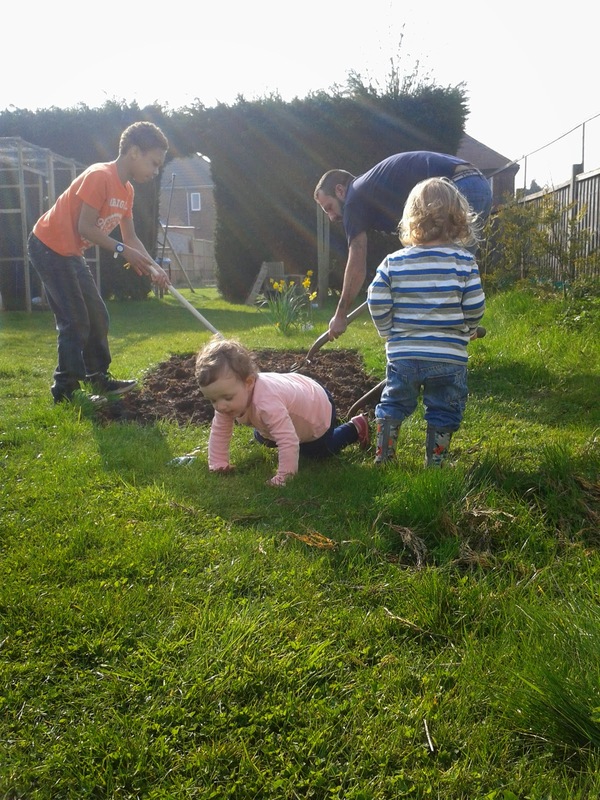 Lovely picture, it's great to set them to work in the garden, so many lessons to learn and of course many hands make light work!